Based on real events, Charlie Wilson's War is the remarkable story of one US Congressman adopting the cause of the Afghanistan resistance during the Soviet occupation, ultimately hastening the end of the Cold War. Texas Congressman Charlie Wilson (Tom Hanks) is known more for parties than policies, but he does sit on the powerful defence appropriations committee. Joanne Herring (Julia Roberts) is one of the richest women in Texas, and sees the fight against communism as a Christian duty. Through a smooth combination of seduction and badgering she convinces Wilson to pay attention to the plight of the mujahideen who have taken up arms against the Soviets after the 1979 invasion and occupation. She arranges a trip to the region, and Wilson meets the Pakistani president and experiences the plight of the Afghan refugees and their commitment to fight. 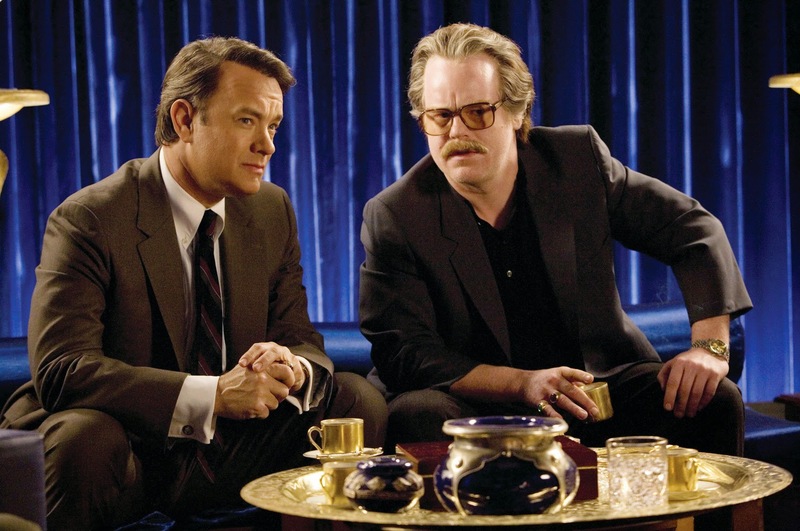 Back in the US Wilson uses his influence to gradually increase the funding allocated to the mujahideen, and then teams up with gruff CIA agent Gust Avrakotos (Philip Seymour Hoffman) to convince Israel, Egypt and Saudi Arabia to help in the fight by channeling better weaponry to the rebels. The turning point comes when Stinger missiles are secured, finally giving the mujahideen a weapon to counter the fearsome Soviet aerial threat. But Wilson has troubles of his own, as his partying habits make him the target of a larger investigation into congressional misconduct just as the war is heating up. In exactly 100 minutes, director Mike Nichols packages the story of the last Cold War battle. Charlie Wilson's War is the truth-is-stranger-than-fiction adventure of an unknown politician who engineered a war halfway around the globe and brought the Soviet empire to its knees. Based on the George Crile book, the film is frequently funny, always sharp and filled with larger than life characters who happen to be real. With a peppy style reflecting Wilson's personality, Nichols wastes no time in introducing the politicians and power elites who make deals in the hallways and between the bedsheets. Seduction, persuasion, cajoling and power mix easily in Washington DC and various Middle East capitals as strange bedfellows are created, the principle of "the enemy of my enemy is my friend" uniting unlikely allies to take the fight to the Soviet war machine. Wilson's affable style makes it all happen, as he prods financiers, agents and politicians towards the common goal. By the end of the 1980s the mujahideen are transformed from a ragtag militia to a fighting force capable of routinely destroying the best tanks and helicopter gunships that the Soviets could throw into the battlefield. The arming and empowering of the Afghan fighters coupled with the US turning its back on the region once the Soviets were defeated sowed the seeds for a new era of terrorism that erupted a decade later. The film does not shy away from the unintended but predictable consequences, as one war begats another. Charlie Wilson may be one of Tom Hanks' last great roles. He captures a happy Congressman enjoying life and adopting a cause once he experiences the pain of the refugees, but always maintaining a light attitude towards his mission. Hanks glides through the film bringing to life Wilson's astounding deal making skills and calmness under pressure. Some of the film's best moments occur in the chaos of Wilson's office, as he coolly juggles the erupting corruption scandal while holding an interrupted meeting with Gust, while the bevy of beautiful assistants scamper in and out of the office. And Philip Seymour Hoffman is unforgettable as the straight talking and never smiling CIA agent with the foulest of mouths, looking for the next global cause to adopt and finding in Wilson a partner in surreptitious warmongering and secret deal making. 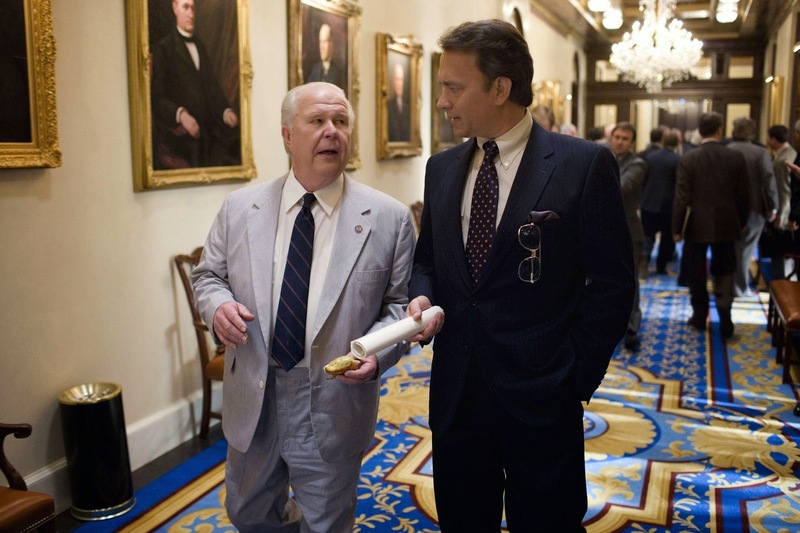 Amy Adams as Wilson's administrative assistant and Ned Beatty as the Chair of the defence appropriations committee round out the main cast members. Charlie Wilson's War celebrates the craziness of making war by proxy, and the man who recognized the new front line, took on communism, and won.